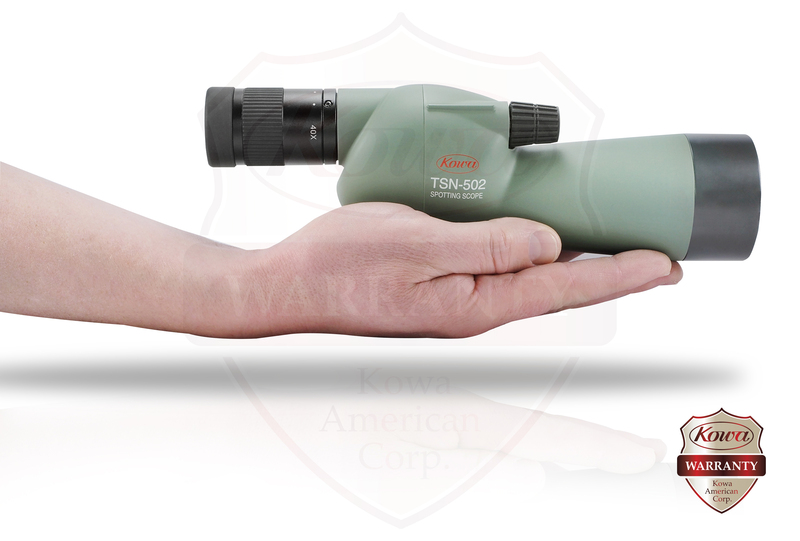 At less than 10" long and weighing under a pound, the straight-through viewing Kowa TSN-502 20-40x50 Spotting Scope is designed to be your constant companion wherever you go to glass. 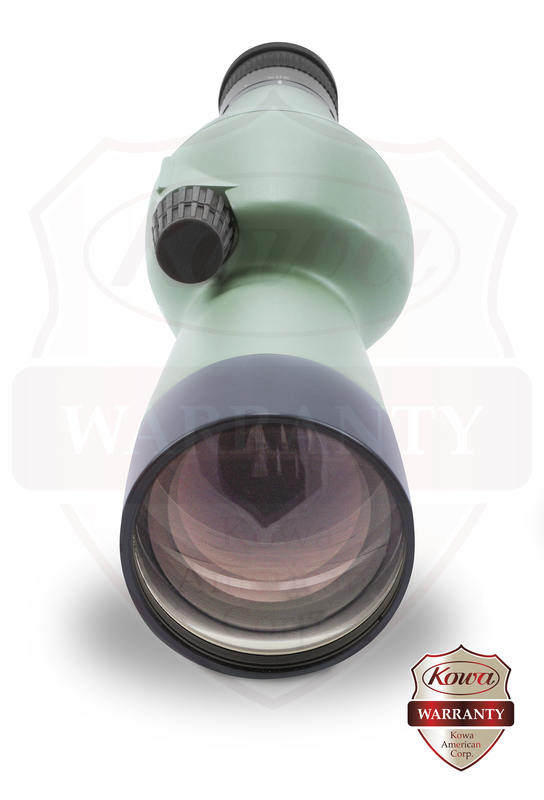 The moderate 50mm lens and fully multi-coated optics provide bright and clear high-contrast images with accurate color rendition for an immersive observational experience. 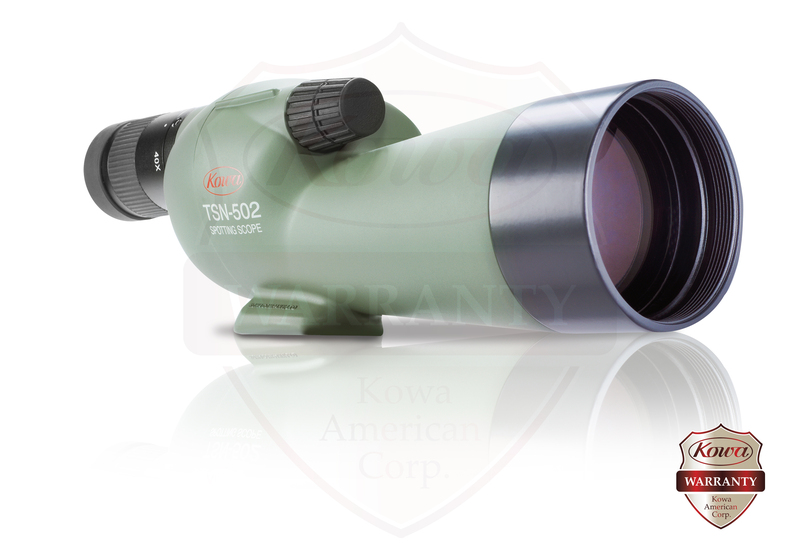 Its powerful wide zoom range allows you to take in a wide field of view for general viewing purposes, with the ability to draw subjects in close for more detailed observations. 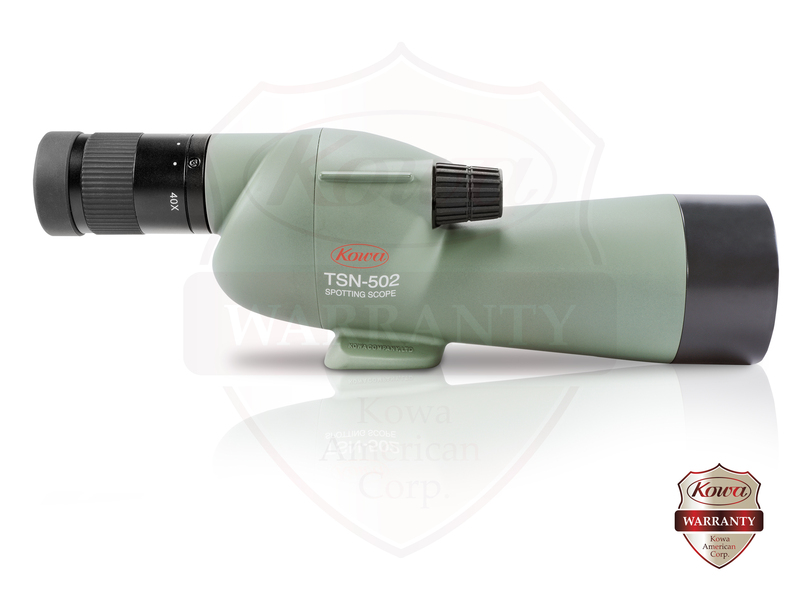 This version of the TSN-500 is configured with the eyepiece set in-line with the optical tube for straight-through viewing to make acquiring targets fast and tracking moving subjects easy. 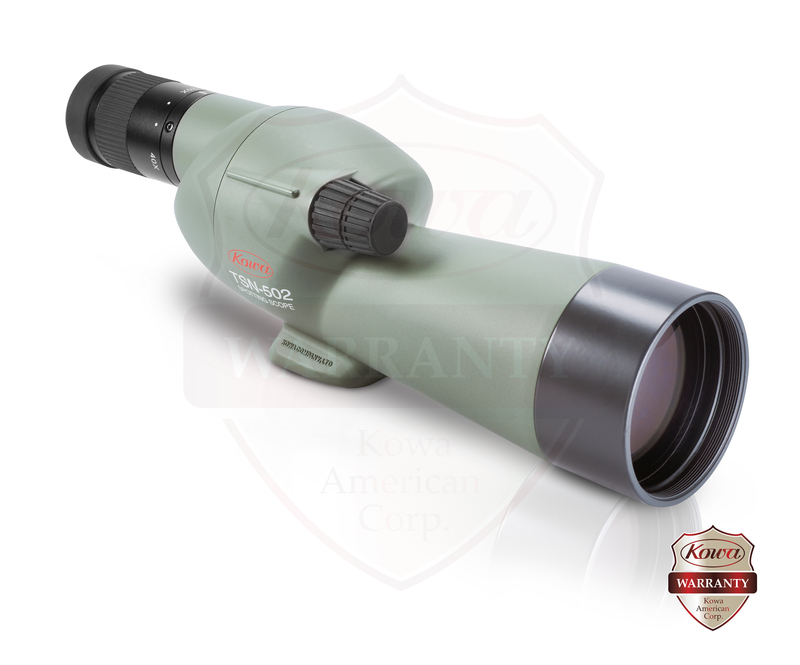 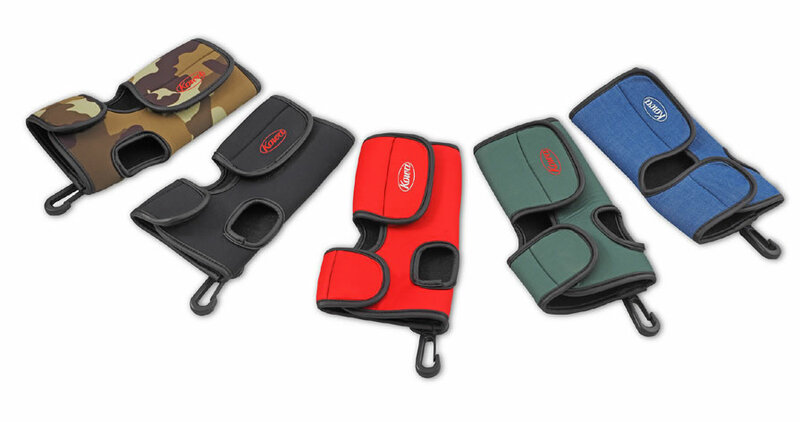 Engineered for performance in all conditions, the chassis is made of a lightweight and strong polycarbonate material wrapped in a slip-resistant armoring, with a rubberized and textured zoom collar and focus wheel make adjustments fast and easy, even when wearing gloves. 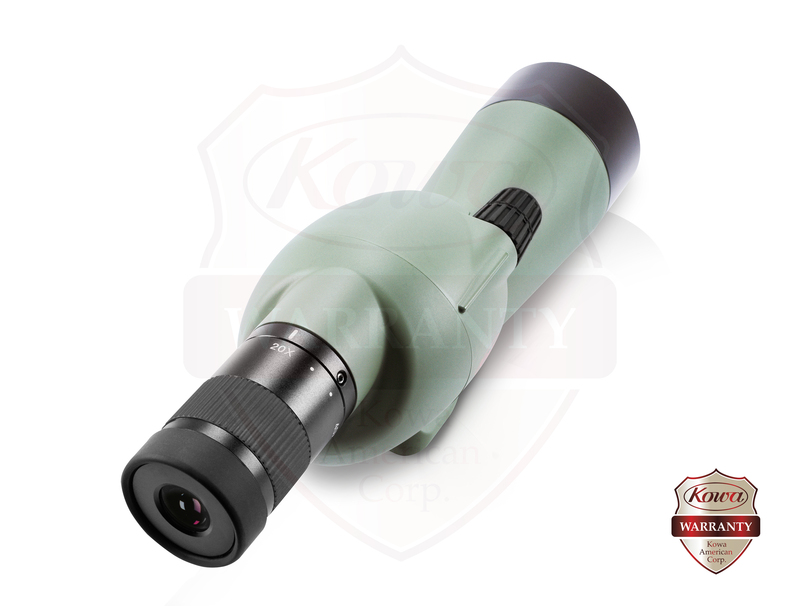 The optical tube is nitrogen-filled and O-ring sealed to be waterproof, and resistant to internal fogging when moving through extreme temperature changes or environmental conditions. 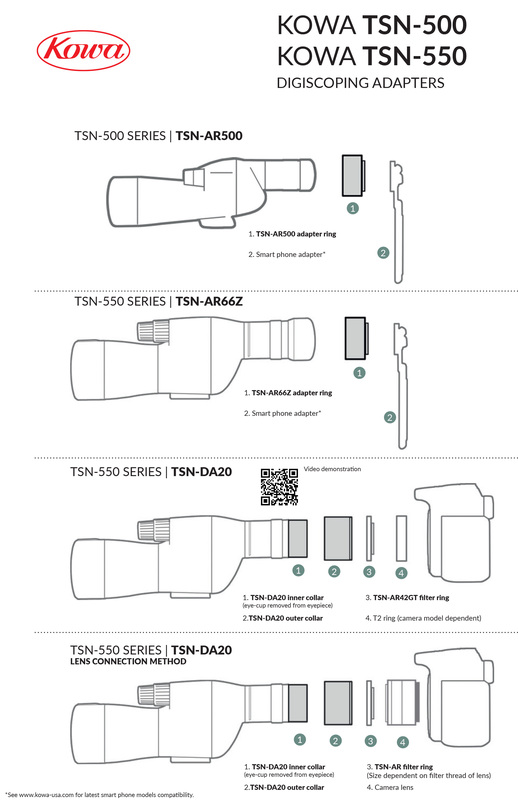 To increase your mounting options, the TSN-502 comes outfitted with both a 1/4"-20 and 3/8"-16 tripod attachment — making it compatible with most photo, video, and field tripods on the market.